抄録: Silver fir (Abies alba Mill.) is one of the most valuable conifer trees in Europe for historical and economic reasons. Growing interest in the species, along with the recognition that silver fir was subjected to inappropriate silvicultural measures during the 20th century due a lack of understanding of its ecology, have spurred recent studies from various disciplines which have yielded new insights into the gene ecology, history, ecology, structure and dynamics of fir populations. In this paper we provide a multidisciplinary, synoptical review discussing the prospects for silver fir forestry in the 21st century. We describe the main characteristics of the history and ecology of silver fir, with a particular emphasis on gene ecology and the structure and dynamics of fir populations with respect to mixed stands and fir management. Fir is a fundamental species for maintaining high biodiversity in forested ecosystems because of its shade tolerance, plasticity to environmental conditions and ability to coexist with many tree species. Silver fir ecotypes show remarkable variation in features such as frost hardiness, drought resilience and shade tolerance. Fir can create stands of heterogeneous stand structure, from one-storied through to multi-storied structure and finally to selection structure. Natural regeneration of fir will be scarce if fir stands are managed inappropriately through the application of clear cutting, a short regeneration period and abrupt removal of shelter trees. Climate change is expected to reduce the abundance and distribution range of silver fir. Improvements in forest management treatments are recommended to improve silver fir conservation. 抄録: With the concern about environmental issues, supply chain designers and managers need to make trade-offs between the environmental impacts and costs of a logistics network. We develop a multi-objective optimization model that minimizes the total cost and CO2 emissions of a regional timber logistics network and seeks for the simultaneous optimization of logistics network design and operation. The generic model is applied to a case study in Jiangle County in China. The Pareto solution set, derived by applying the normalized normal constraint method, shows the relationship between carbon emissions and total cost. Our results reveal that both network structure and the allocations of timber flows have effects on the Pareto solutions, suggesting the importance of considering network design and management together in logistics network analysis. The model results also indicate that though the current carbon price is hard to trigger the change of the timber logistics network structure in Jiangle County, it can still be a driving force to push the decision makers to implement lower carbon logistics plans. Additionally, sensitivity analysis shows that improving road conditions can remarkably reduce CO2 emissions in the logistics network and that maintaining an appropriate ratio of timber supply to demand can lead to some compromise between carbon emissions and total cost. These findings offer new insights into the trade-offs between the carbon emissions and total cost of the regional timber logistics network, which are of value to logistics network designers and managers as well as policy makers in the study region and beyond. 抄録: Evaluating the environmental factors that affect seedling regeneration on deadwood is important for predicting the forest recovery process after dieback events. 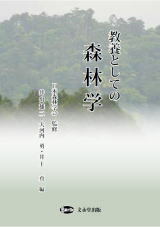 Pine wilt disease (PWD) has killed many adult trees of Pinus densiflora in recent decades and consequently created a huge accumulation of deadwood in lowland forests in Japan. These deadwoods are now providing nice seedbeds for variety of tree species including Cryptomeria japonica, which is the most important timber species in Japan. In the present study, we tested the effects of various factors on Cryptomeria seedlings growing on decayed Pinus logs in Japan. In total, 126 individuals of Cryptomeria seedlings (height < 50 cm) colonizing on 22 pine logs were investigated. During a five-month research period from May to October 2015, the survival rate of the seedlings was 87.3 %, and the maximum height growth was 32.0 cm. Analysis using generalized linear mixed models revealed that delignified white-rot wood in the sapwood of the logs negatively affected seedling survival and growth. These results suggest that type of wood decay, reflecting fungal wood decomposer activity, would strongly affect survival and growth of Cryptomeria seedlings, although logs were important microsites for their establishment after pine wilt disease. 抄録: Piper aduncum and P. hispidinervum are species found primarily in the Amazon region, and have been highlighted by the fact that they contain, in their essential oils, significant amounts of dillapiol and safrole. The aim of this work was to assess the seed behavior of P. aduncum and P. hispidinervum and to develop strategies for medium- to long-term storage of the species at sub-zero and cryogenic temperatures. In the first experiment, seeds were desiccated and their water content was determined. Then, the seeds were kept at -20°C for up to 90 days. In the second experiment, seeds were stored for up to 24 hours in liquid nitrogen (LN; -196°C), with and without the use of cryoprotectants. Finally, for assessing the efficiency of these techniques seeds were stored at -20° C and in LN for up to 360 days. The germination rate was more than 90% for both species when stored at -20°C or LN, without compromising their viability and development. The results suggest that P. aduncum and P. hispidinervum have seeds with orthodox behavior, which can be stored for the medium to long term at subzero and cryogenic temperatures without the need for use of cryoprotectants. 抄録: The study is aimed to identify changes in pigment complex of Scots pine (Pinus sylvestris L.) needles in disturbance of nutrition status under atmospheric pollution. The studies were performed in the territory of the Irkutsk region (Eastern Siberia, Russia), where several large industrial centers are located. The level of S, F, Fe, Al, Pb, Cd, Hg, N, Ca, Mg was shown to increase in pine needles under technogenic pollution, with the content of P, K, Mn, conversely, decreasing. Disturbances in pigment complex of the polluted trees needles are demonstrated by the reduction of Chl a, Chl b, carotenoids, chlorophyll share in light-harvesting complex (LHC), maximal chlorophyll fluorescence Fm and Fv/Fm proportion, while Chl a/Chl b and Chl/Carotenoids proportions rise as compared to background values; in the first case - due to decrease of Chl b level, in the second case - due to decrease of carotenoids level. Reverse correlations were identified between contents of S, F, Hg, Pb, Cd, Fe, Al in the needles and pigment level (r = -0.51–0.95). Disturbance of nutrition status and changes in needle pigment complex entail reduction of growth parameters (needle length and mass, shoots length, number of needles on the shoots). It is concluded that impact of atmospheric technogenic pollutants results in systemic disturbance of plant organism functioning.